Discover the cultural heritage of Juneau, the bustling activity of the Macauley Salmon Hatchery, and the big, beautiful chill of Mendenhall Glacier. First, learn about the rich history of Alaska's capital from a knowledgeable driver/guide. Then pay a visit to the hatchery, where millions of salmon are annually harvested. Next, enjoy a quick transfer via motorcoach and head straight for Mendenhall, the region's largest, most accessible glacier accessible by road. • Macauley Salmon Hatchery: Experience a narrated tour, touch tanks and detailed marine exhibits that explain the salmon life cycle. • Mendenhall Glacier: Take in the splendor of one of Alaska's greatest natural treasures. 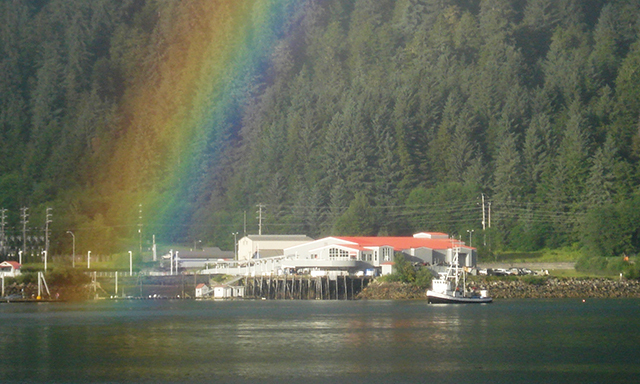 • Downtown Juneau: Enjoy a historical tour of a city once home to Native American tribes and a gold rush era. • SeaPass card and photo identification. • At the hatchery, you will see salmon fry year-round and adult salmon spawning from July to September. • At the Mendenhall Glacier visitor center, U.S. Forest Service staff can assist guests with questions. • The visitor center is a great vantage point to take breathtaking photos.